Cancer research requires knowledge of the local epidemiology of disease and a support structure to gather information about patients, establish diagnosis and obtain tissue samples. Esophageal cancer is very common in eastern Africa and Malawi in particular. In is the second most common cancer in men and women, with Kaposi’s sarcoma the most common in men and cervical cancer in women. Lindsey Wolf MS3 UCSF and Rahim Ibrahim PGY3 KCH have collaborated on a study of EGDs at KCH over the last 2 years, reporting that 27% of the cases had esophageal cancer. 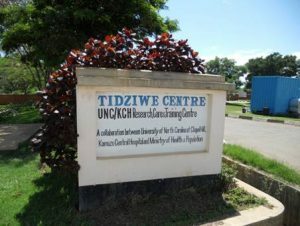 The UNC Project in Malawi, the MSI, UNC Lineberger Comprehensive Cancer Center and KCH are collaborating to establish a pathology lab at KCH which opened in July 2011. 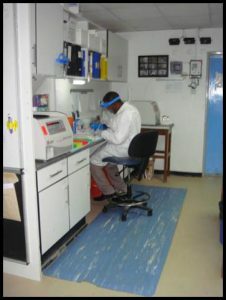 The pathology lab provides histologic analysis and cancer tissue procurement capabilities for current and future studies. 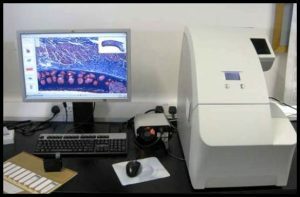 UNC Lineberger and the Institute for Infectious Diseases have co-funded an Aperio microscope for the laboratory to facilitate the sharing of pathology images with collaborators at UNC.